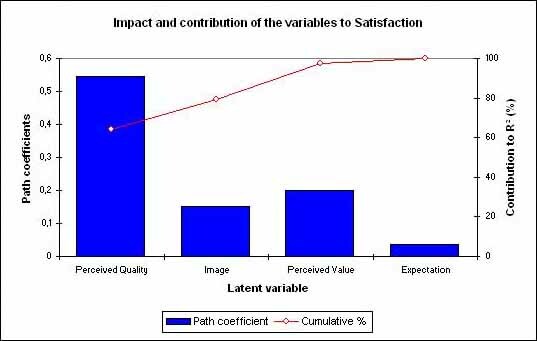 This tutorial will show you how to create and run a basic Partial Least Squares Path Modeling (PLS-PM) project in Excel using the XLSTAT software. The application is based on real life data, where 250 customers of mobile phone operators have been asked several questions in order be able to model their loyalty. The PLSPM model is based on the European Customer Satisfaction Index (ECSI). 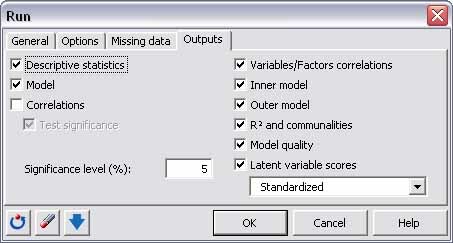 In the ECSI model, the latent variables (concepts that cannot be directly measured) are interrelated as displayed below. An XLSTAT-PLSPM project sheet containing both the data and the results for use in this tutorial can be downloaded by clicking here. XLSTAT-PLSPM projects are special Excel workbook templates. When you create a new project, its default name starts with PLSPMBook. 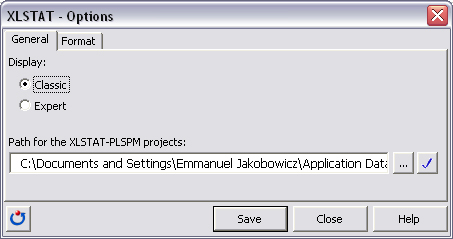 You can then save it to the name you want, but make sure you use the "Save" or "Save as" command of the XLSTAT-PLSPM menu to save it in the folder dedicated to the PLSPM projects using the *.ppmx extension. 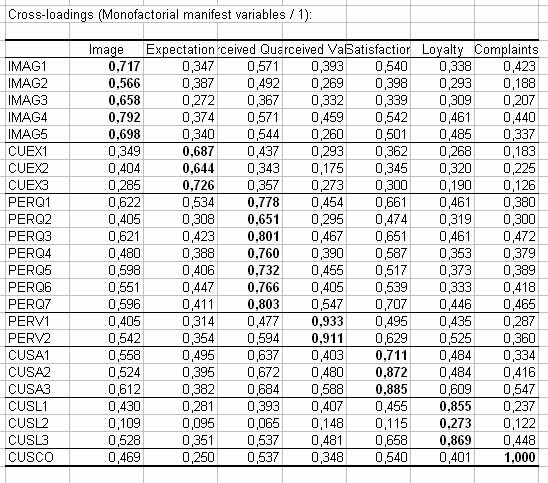 Note: when you open the PLSPathModeling_ECSI.ppm file, the graphical representation might look bad. This is due to the fact that the representation depends on your screen settings. To improve the display, click the "Optimize the display" button (see below). 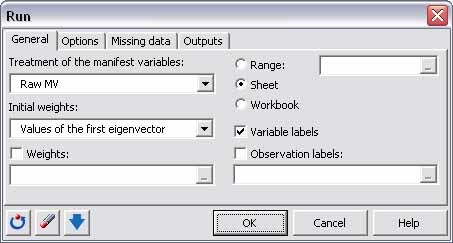 D1: This sheet is empty and you need to add all the input data that you want to use into that worksheet. PLSPMGraph: This sheet is blank and is used to design the model. When you select this sheet, the "Path modeling" menu is displayed on the upper left part of the page. 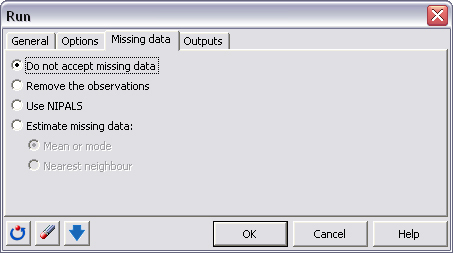 The default one, called “classic”, displays the main functions necessary to apply PLS Path Modeling and a more sophisticated one, called “expert”, displays lots of new options like multigroup testing, moderating effect estimation, superbloc procedure… To modify this option, click on the XLSTAT-PLPM options button on the XLSTAT-PLSPM toolbar. We then saved it as PLSPM_ECSI.ppmx using the Save as command of the same menu. 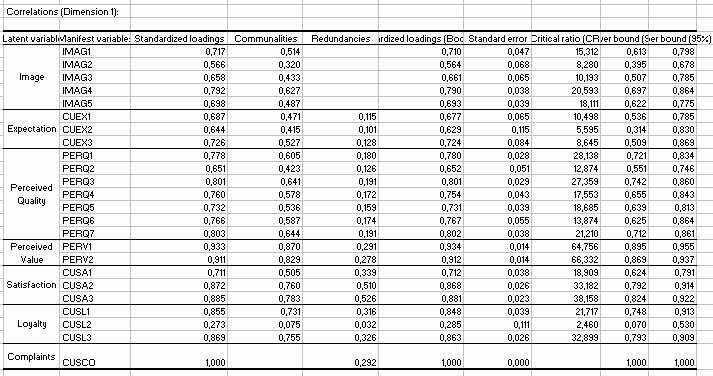 Then, we copied the data that were available in an Excel file, and pasted them into the D1 sheet of the Project. Once this is done, you are ready to start creating the model. Move to the PLSPMGraph sheet. The toolbar is displayed on the upper left corner of that sheet. You can find details on the function of each button in the help. You can then add the arrows that indicate how the latent variables are related. 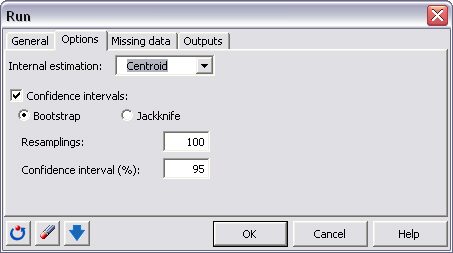 To add an arrow, click on the latent variable from which it should start, then press Ctrl and click on the latent variable where the arrow should end. Then click on the arrow button or use the following keyboard shortcut: Ctrl+L. 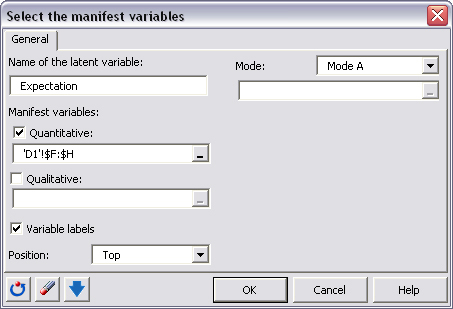 This activates the D1 sheet and displays a dialog box where you give a proper name to the latent variable, select the manifest variables on D1 and define a few settings. 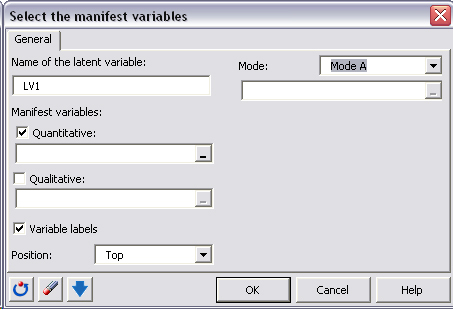 Once the manifest variables have been defined for each latent variable and latent variables are linked, you can start computing the model. To run the model, click the play button. One of the greatest advantages of PLSPM is the latent variable scores. They are given and can be used for other statistical treatments with XLSTAT. 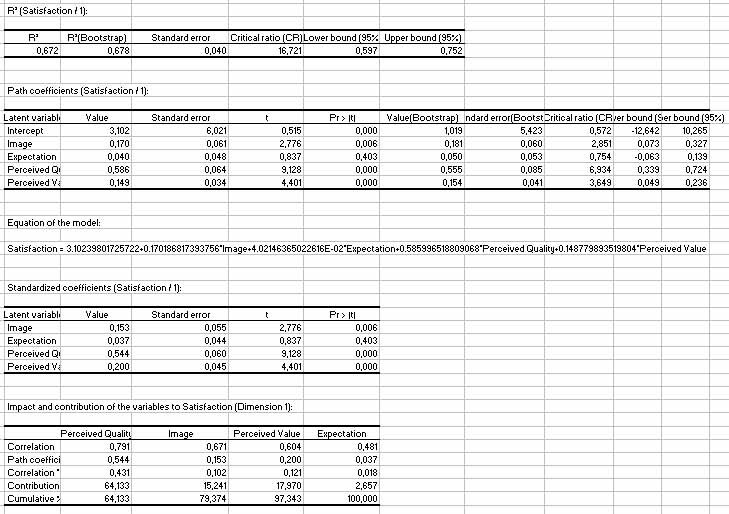 This study has shown how to use XLSTAT-PLSPM module in the case of real data. Once the model has been drawn, the procedure is simple. 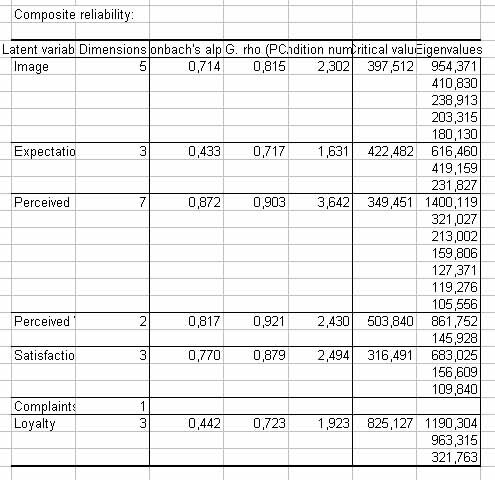 Once the model has been validated, interpretation of the result can be done by reading the tables with path coefficients and correlations. The “results” dialog box appears. It has three pages: the first one concerns the display of indexes on the latent variables: the second one concerns the display of coefficients and indexes on the arrows between latent variables the third one concerns the display of coefficients and indexes on the arrows between manifest variables and latent variables: Results appear on the path model in the worksheet PLSPMgraph when pushing the button “display result”. You can select the entire diagram and copy it to any other document.